Abington wanted to speed the game up in the second half after scoring just 15 points in the opening 16 minutes against Caelin Peters and his Plymouth Whitemarsh teammates. The tempo resulted in Abington turning a five-point halftime deficit into a four-point lead after three quarters. 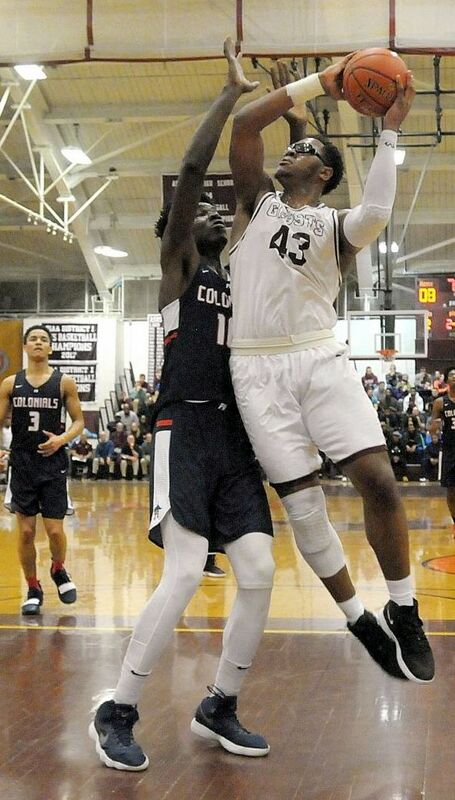 Abington kept it going in the fourth quarter and made enough plays down the stretch to beat Plymouth Whitemarsh, 47-40, in Suburban One League American Conference action Friday night at Abington Senior High School. The game-changing play was a result of Abington’s faster attack in the third quarter. Trailing by two, Abington forced a turnover and Lucas Monroe tied the game by finishing an alley oop with a two-hand slam over a Plymouth defender to tie the game at 26. Abington’s Darrius Brown drew a charge on the ensuing Plymouth possession and — after a Plymouth timeout — Henry made a layup to give Abington their first lead since the first quarter, 28-26, in the final minute of the third quarter. Monroe finished the third with a pair of free throws with less than five seconds on the clock to give his side a 30-26 lead heading to the final quarter. Plymouth didn’t go away in the fourth. Peters and Ray Tomassetti sandwiched threes around an Abington basket with less than four minutes left to trim a 36-28 deficit to 38-34. But Abington had an answer. Henry hit a corner three — only Abington’s second triple of the game and first attempted after halftime — to get the lead to nine, 43-34, with 2:25 to go. Peters hit another three in the final minute and Mark Kalala grabbed a steal before going 1-for-2 from the free throw line to get Plymouth within three, 43-40, with 31.7 seconds left. Then, Monroe sealed it. After playing keepaway for 10 seconds, the Penn commit went to the basket, made the layup and was fouled. He sunk the free throw to make it 46-40 with 18 seconds remaining and Abington was celebrating a win over its league rival. Peters led Plymouth Whitemarsh with 16 points.